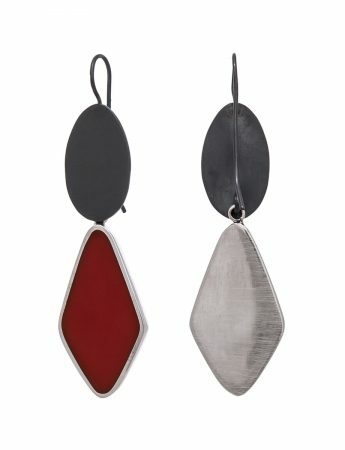 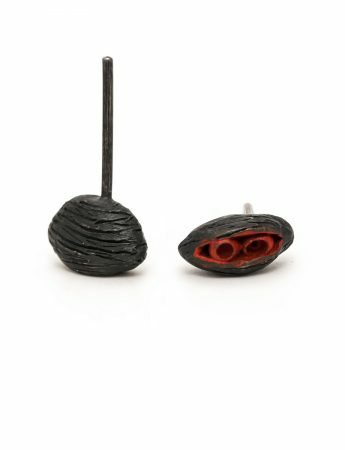 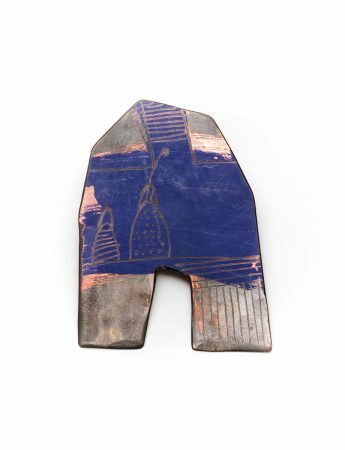 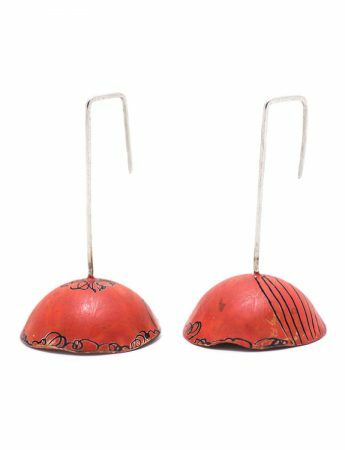 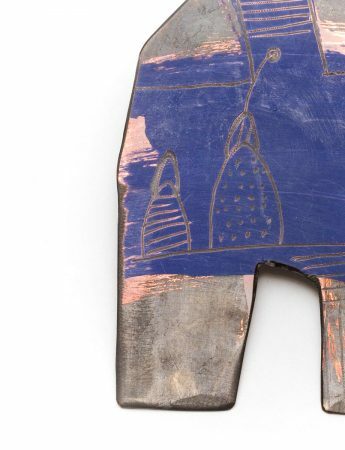 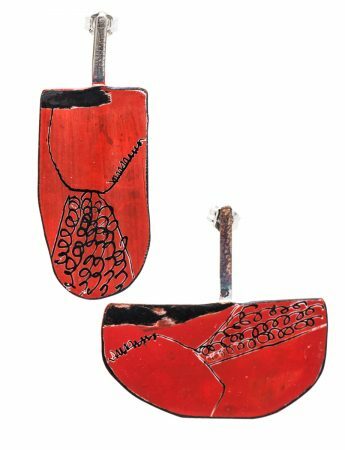 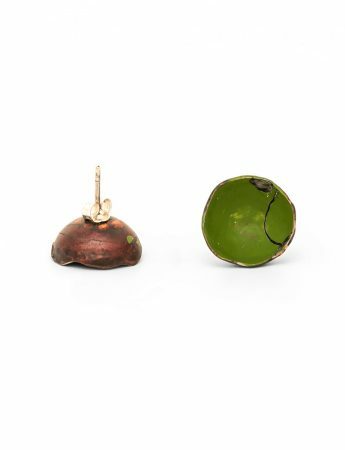 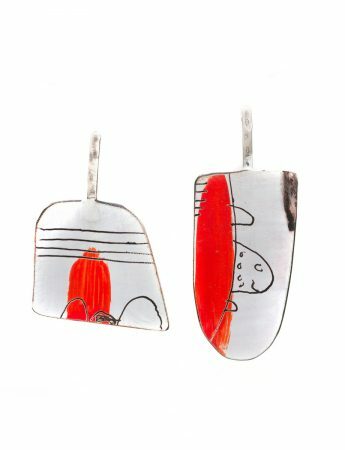 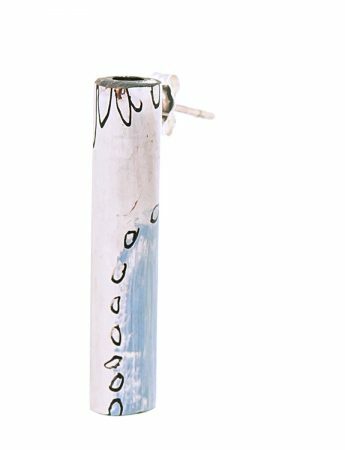 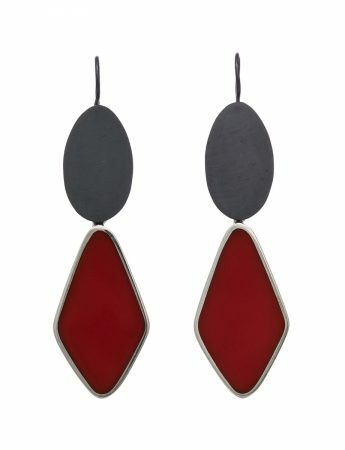 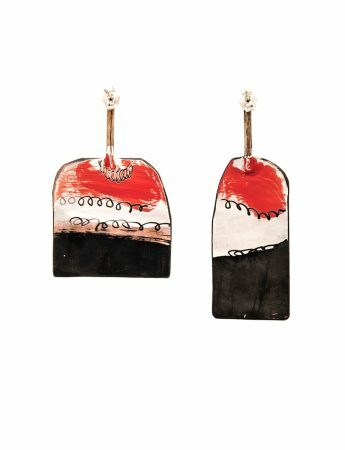 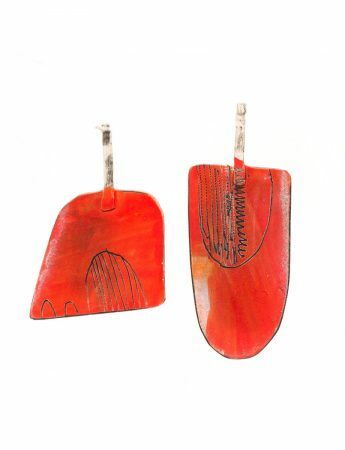 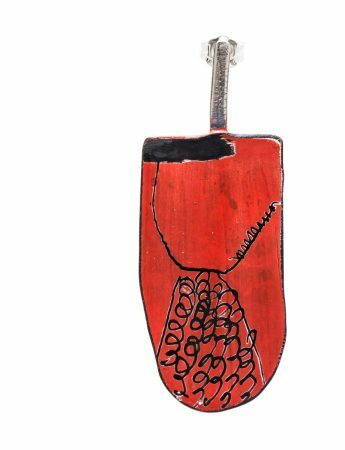 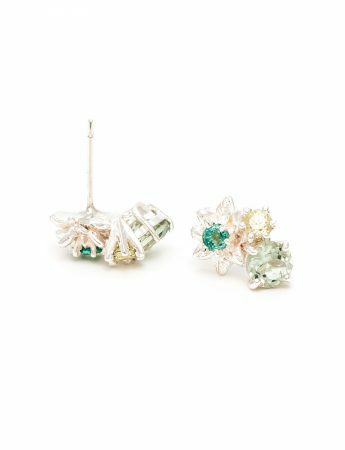 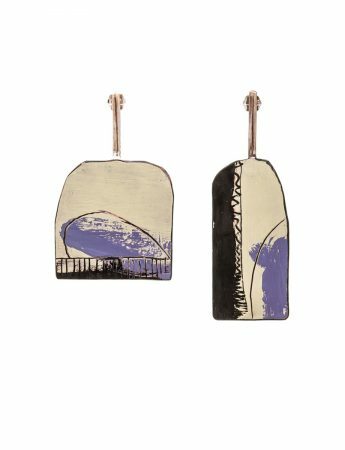 Jane Reilly creates colourful, etched jewellery that looks as if it was lifted from the canvas of an abstract painting. 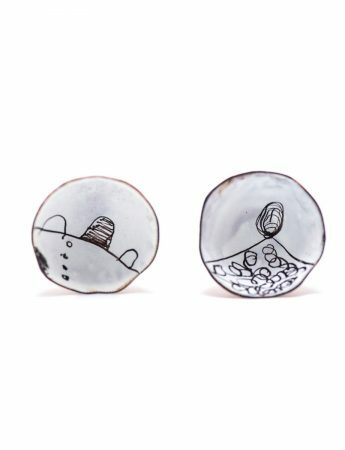 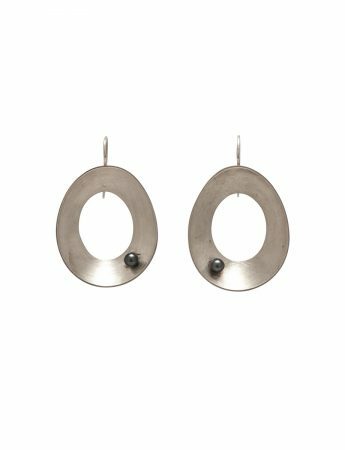 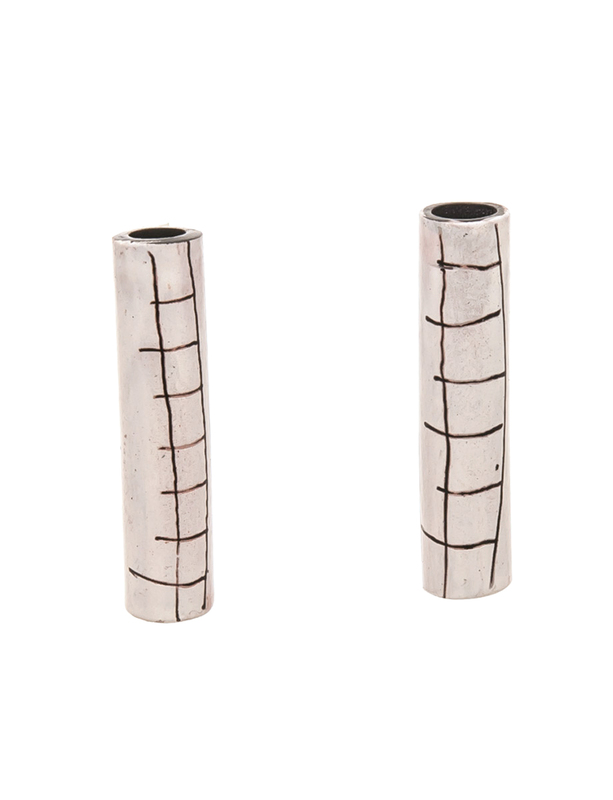 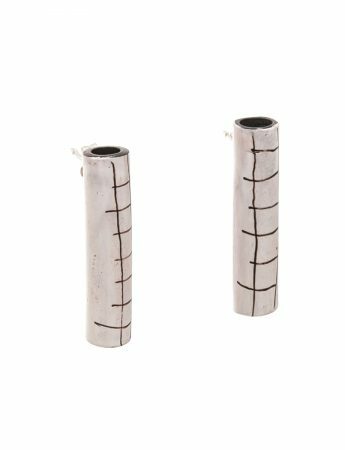 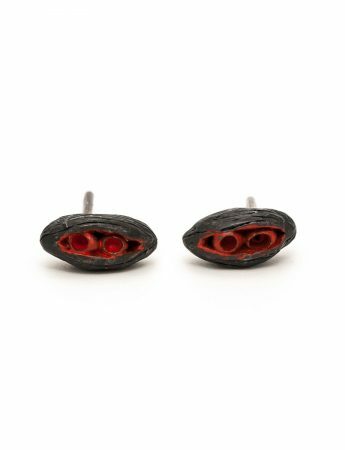 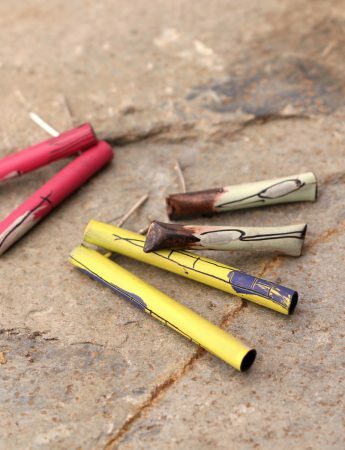 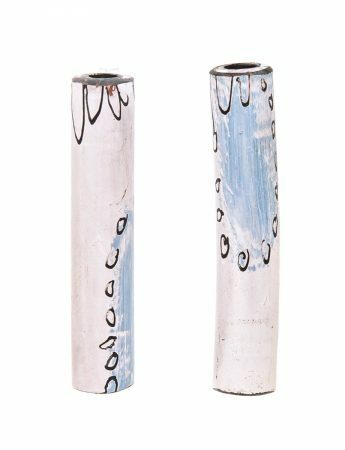 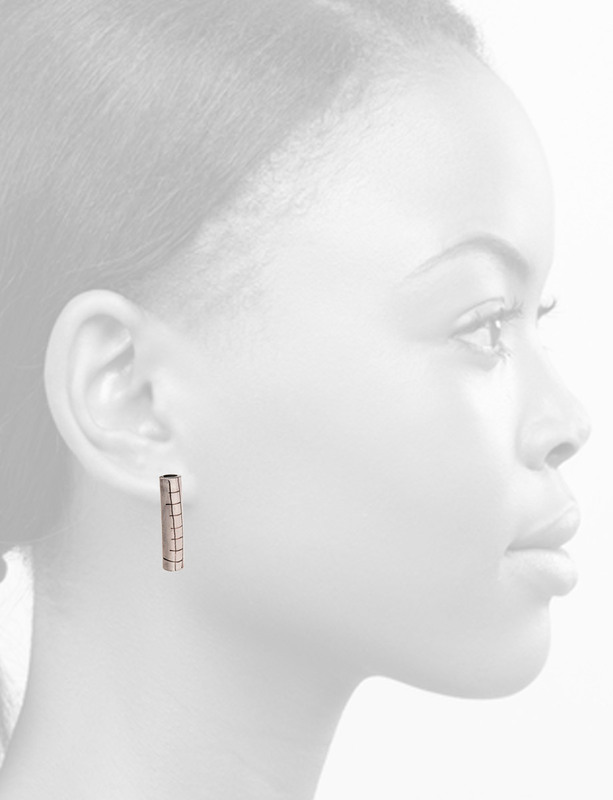 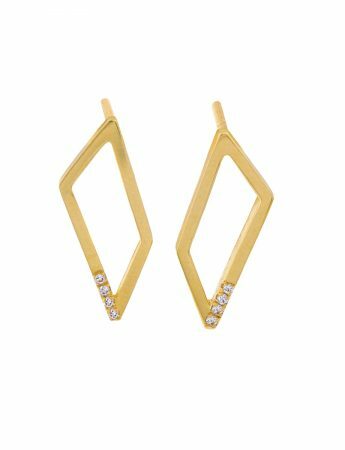 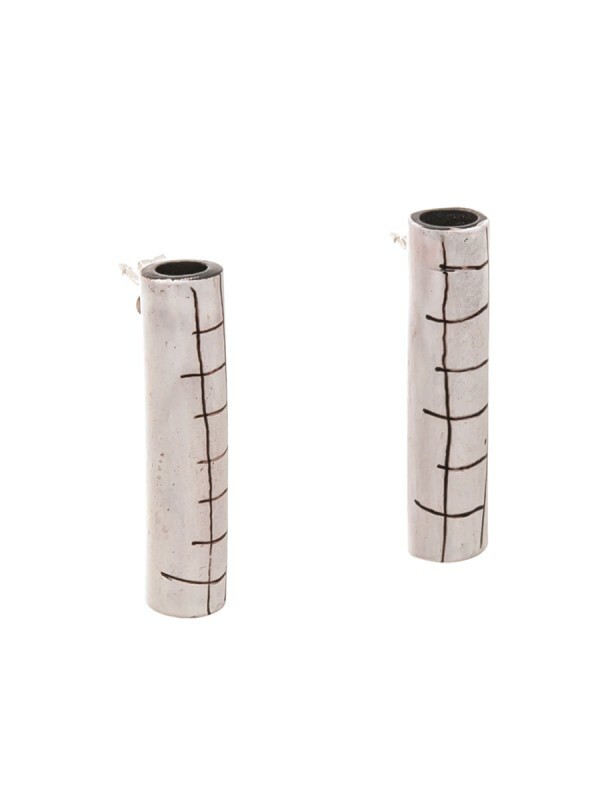 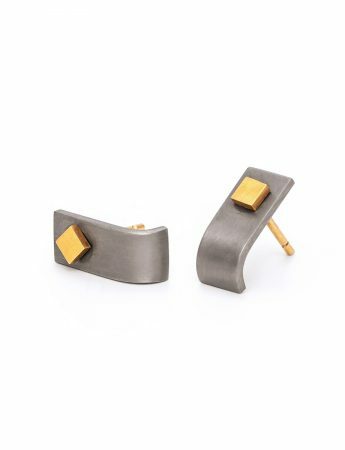 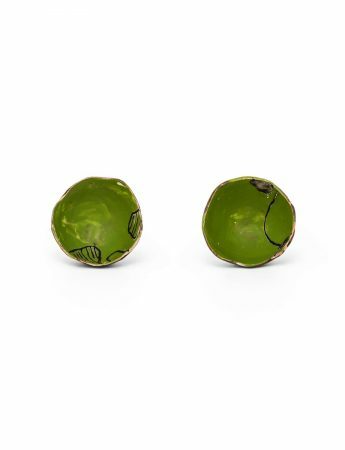 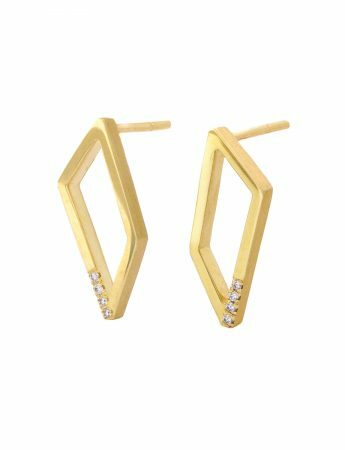 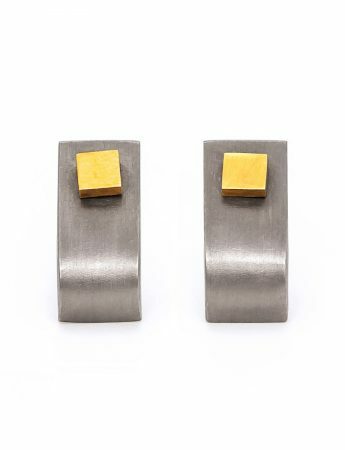 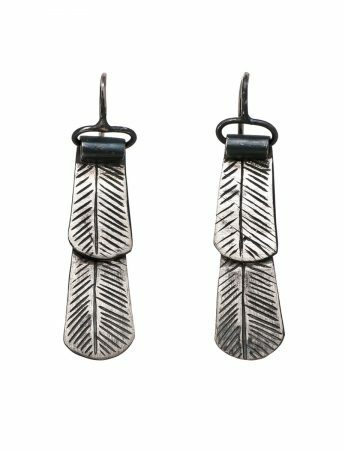 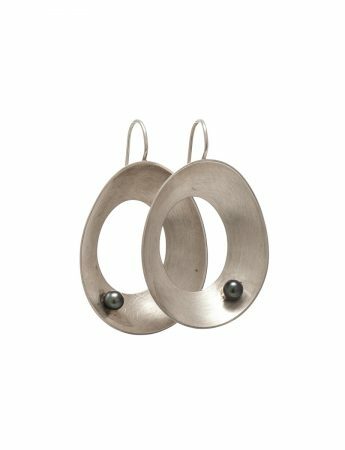 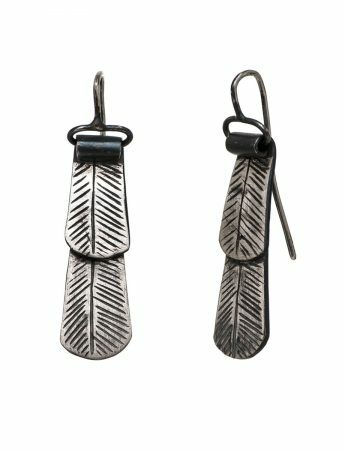 These ‘tube’ earrings are playfully striped with free-form hand-drawn lines. 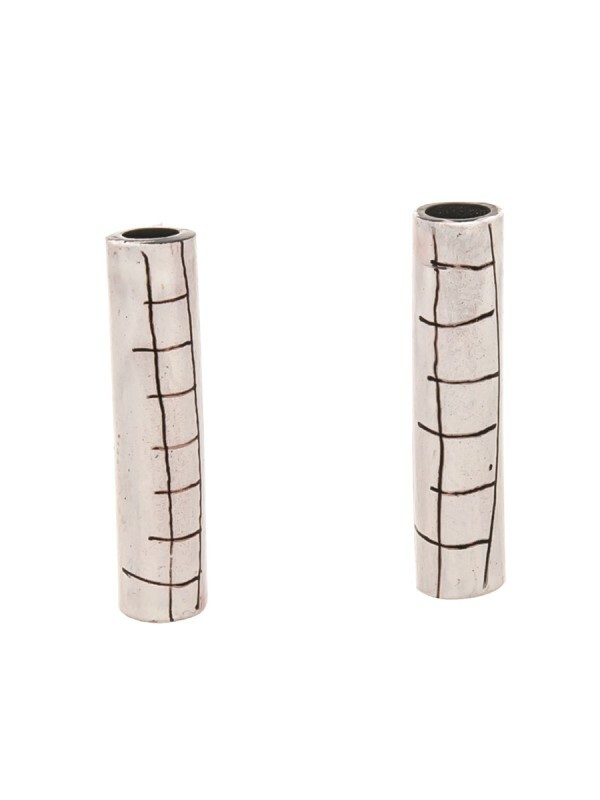 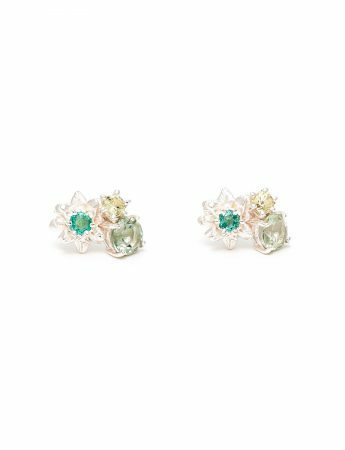 Set on sterling silver posts.